PT Astra Honda Motor - PT AHM is a company manufacturing & distribution of the largest motorcycle in Indonesia, with the number of employees more than 10,000 people. In accordance with the vision of the company, PT. Astra Honda Motor is always working to provide the best mobility solution that is able to meet customer needs with world-class management system. Every person at PT Astra Honda Motor valued in accordance with the achievements and potential, if you are a person who meets the desired qualifications, we wait for your presence to join PT. Astra Honda Motor. Facing the challenges of the motorcycle market in Indonesia intensifies, PT. 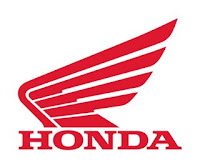 Astra Honda Motor requires human resources in a creative, competitive, and innovative. For that PT. Astra Honda Motor opens career opportunities in the manufacturing of the world with a career system Internally and Externally Competitive Fair. Responsible for the first time in addressing the problems and demands of the users associated with IT services specifically related to IT Infrastructure. Having passed D3 Information Technology / Information Management / Computer Science. GPA 3:00; Age max 25 years. Having Basic IT skills especially in PC Hardware Operating System, Application and Networking. Understanding Programming Languages ​​(Java, Net, ABAP). In charge of the preparation of the Master Budget projections do company. Making financial analysis report for the company's internal and external interests. Experience in the field of Finance / Budgeting for 2-4 years. Having a concept analysis and thought were pretty good. The ability to adapt quite well. Resilient and able to work with a high rhythm. Being able to make a financial report in English. Have the analysis and conceptual thinking is good. Having insight in the field of health, safety, and environment in an enterprise environment. Responsible for analyzing the business process as well as the logistics and distribution systems related to the area of ​​distribution and manufacturing so as to integrate the entire business process logistics and distribution in a system. Analyze and evaluate, develop internal and external systems. Doing improvement in terms of improvement of internal and external systems to support the distribution of the motor unit to the Main Dealer. Communication with internal and external parties related to system improvements. Has analysis, and logical thinking is good. The ability of the system will be an ideal concept. Broad-minded, willing to learn and seeking of information is good. Responsible in making engineering drawings and specifications non factory building within the Company. Analyzing the maintenance and improvement needs of the needs within the company building and analyzing electoral cooperation relations. Analyze and Budget needed for building maintenance. Supervise the work of the Sub-Contractor in handling maintenance and revitalization of the building in an enterprise environment. Has analysis and logical thinking are quite good. Communicative and have good interpersonal skills. The integrity of the work is quite high.